After serving at Deloitte & Touche LLP for 19 years, Kevin McGovern was recently appointed partner in charge of its New England financial services practice in May of this year. Prior to accepting his new role, McGovern served as national director of Deloitte & Touche’s investment management business advisory services practice, which specializes in providing operational, risk management, and regulatory compliance consulting services to clients in the investment management industry. Second-generation Irish American McGovern has assisted many investment management firms in designing, implementing, and assessing risk management as well as compliance systems and performing risk and internal control assessments. He has served as an independent consultant in connection with numerous SEC administrative actions, and regularly assists clients and their attorneys on regulatory matters. 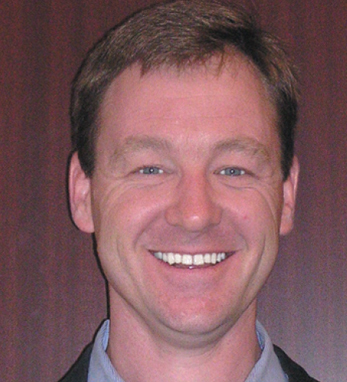 McGovern began his Deloitte career in 1985 after graduating from the University of Notre Dame with a BBA in accounting. His father’s side of the family has roots in County Cavan and the town of Glengelvin. Married with five children, he is a CPA and is licensed in Massachusetts.